This personal snow plow has an average rating based on 194 customer reviews.
" I am not typically the type of guy to write a review, but this thing is out of this world! A friend of mine recently saw me plowing snow on an open station tractor and had pity on me (thanks again Jarod). Mother Nature had just had her way with us by giving us a dose of North Dakota winter. At -40 and a 45 mph wind, the drifts get crazy hard and even my tractor was struggling. My buddy swings in with a SnowSport HD and made short work of some incredible drifts! If you live somewhere that gets any amount of snow, you need one of these things. I'll be purchasing one soon. " 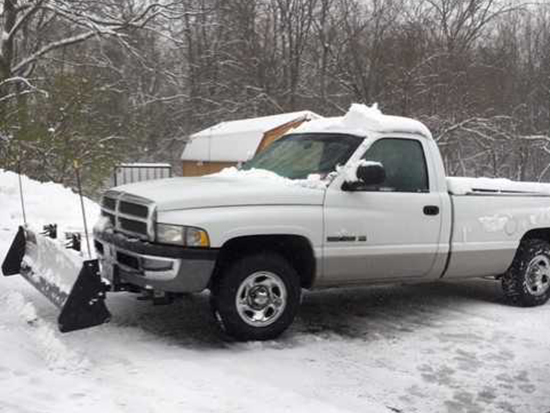 " I bought my snow plow and since buying it we have gotten quite a bit of snow. 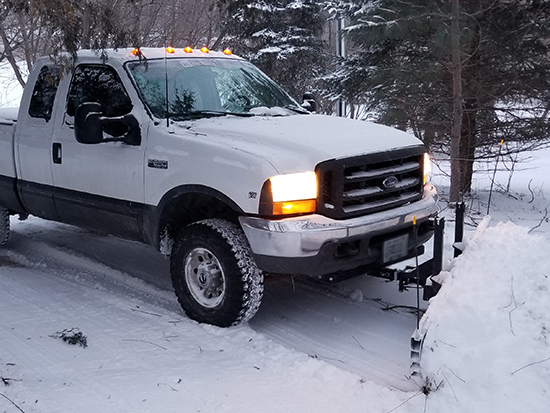 The plow has worked amazing and fits great on my ram pick up. Easy to use and makes moving snow fun and painless. " " Works as advertised! " " Great product! Works as advertised, putting the plow together took around 1 1/2. Also ordered a receiver for my truck. I have a Westin deer guard on my truck and a hour project took a day of modifying brackets to mount the receiver and purchasing a 12 inch receiver extension to clear my deer guard. With my atv it took me over 2 hours to plow, with the Snowsport about 20 minutes in a warm vehicle. Well worth the money! " " I needed a plow that wouldn't tear up the lawn. In Michigan we get a lot of warm and cold days so if it snows and the ground is soft I am still able to Plow with basically no damage to the lawn. I have plowed 8-10 in. of wetter snow and it had no problem to clear the snow while getting it scraped cleanly to the ground. Quality seems good, fairly easy install, assembly was straight forward. Overall I feel for what this plow costs and what I need to plow it works terrific ! I would recommend this to someone. Also I have to clear about 500yd driveway about 12ft wide along with a couple residential drives and the plow handles it great and not torn up lawns!! " " Love it works great no electronics or hydraulic to worry about. This is my second one. Would recommend this snow plow to anyone. " " Well built and removes snow with ease and plow comes comes off in minutes when not using. " " I have the 84" plow mounted on a 2001 Dodge Ram 2wd. The plow works great. So far we've had two snow storms this year, a 5" and a 6" storm with heavy wet snow. The plow cut through the snow like butter. I do have studded winter tires and about 400lbs weight in the bed for extra traction. Do not try this plow out on dry pavement, it will bounce up and down due to the rubber cutting edge, only use it in snow. " 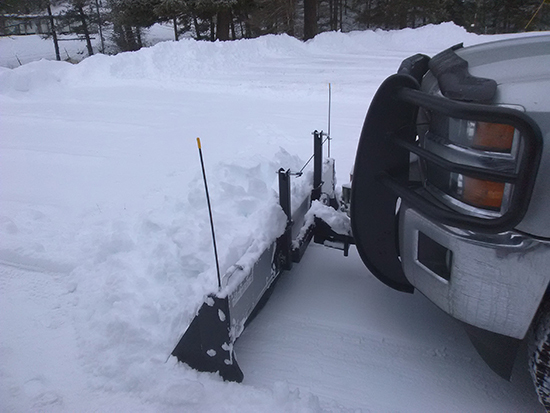 " I have had the Snowsport plow for a couple of years now and it works great. I recently bought a new Ford F-150 and was pleased that I was able to order a new receiver for the new truck and did not have to change anything else out. Great product! " " It came within a couple of days and was relatively simple to put together. I finally got a chance to use it on a couple of inches of snow today; it worked just as advertised. I have a 500 ft gravel drive and it looks like i used a snowblower on it. I would definitely recommend the snowsport plow. "